More than 17.7 million Americans characterize themselves as freelancers or independent workers without ties to any particular company, according to an annual report from MBO Partners, which tracks the freelance and consulting industry. Experts at Emergent Research, a small business research firm, predict that freelancers will make up 40% of the American workforce by 2020. Freelancers make up more than one-fifth of the construction, arts and media, personal care (including hairstylists and estheticians) and legal industries, according to Census data analyzed by Economic Modeling Specialists International. The benefits of freelance work are plentiful: a flexible schedule, more control over which projects you work on and spending time with family instead of spending time commuting. But let’s face it: Freelancing can be scary. Freelancing exposes workers to high risk of job loss, high health care costs and sometimes, unpredictable paychecks. Still, some cities are attracting loads of freelancers and offer resources to help them make the most of their work and personal time. 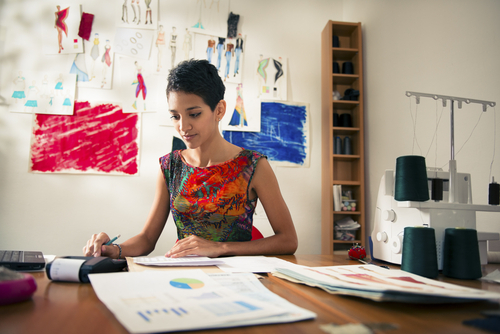 Are you considering freelance work yourself? Check out NerdWallet’s personalized health insurance guide to give you the most accurate information about insurance rates in your city. Are there other successful freelancers in the city? If others freelance in the city, there are likely to be more resources for freelancers, and the lifestyle is proven to be sustainable. The percentage of the population with self-employment income accounted for half of the overall score. Is the city affordable? Freelancers often have a less secure form of income than those with traditional jobs, so affordability is important. We looked at the median rent cost to determine affordability and weighted it at 25% of the overall score. Is health insurance affordable and accessible? Freelancers have to forgo the benefits of a traditional job, including health insurance. We incorporated the median health insurance cost for the city as 25% of the overall score. In the nation’s entertainment capital, most freelancers work either in or around the entertainment business. A full 17.9% of households in L.A. reported self-employment income in 2012, according to U.S. Census data. From independent filmmakers, screenwriters, production assistants and actors, freelancing is a major part of Los Angeles culture. Because so many people do freelance work, there are a lot of outlets for freelancers to connect, including meet-up groups and dozens of co-working spaces. Plus, quality of life here is high with plenty of sunny days and quick escapes to the beaches in Santa Monica. Portland has the second-highest concentration of freelancers on our top 10 list at 14.7% of households, and the city is a major hub for the Freelancers Union, which offers membership and health insurance to all freelancers nationwide who work in health, media or the arts. The Freelancers Union holds regular events in town, including happy hours and professional development sessions to help freelancers negotiate contracts, track their work and find and keep the best clients. Most freelancers in Portland are writers, web developers or work in other creative industries. Portland is also more affordable than living in L.A.: median rent here is $778 and the lowest-priced health plan is $158.58, according to health insurance data aggregated by HealthSherpa.com. From the fashion industry to writing, web design and lifestyle businesses, freelancers in Miami make up 14.6% of all workers. Miami is also home to the largest number of foreign-born self-employed workers in the country. Basic health insurance costs are a tad higher here than in Portland at $189.73 per month, and so are rents. But the freelance culture here is thriving: Miami offers freelancers meet-up groups and co-working spaces such as The LAB in the Wynwood Arts District, which was built with a $250,000 investment from the Knight Foundation to bolster Miami’s arts and technology startup scene. This past December, InnovateMIA hosted events celebrating Miami startup, tech, social innovation and creative communities every night from December 1-15. No list of hot cities for freelancers would be complete without a mention of Austin, which has exploded in popularity in recent years. A sizeable 14% of Austinites categorized themselves as self-employed, according to U.S. Census data. Freelancers host dozens of regular meet-up groups for workers in tech, startups and writing. At Link Co-Working, a hot Austin co-working space, freelancers can rent their own private offices or dedicated desks in an office within walking distance of tons of restaurants. Health insurance rates here are lower than in our other top picks at just $168.31 per month. Known for grooming country music stars, Nashville is also a booming place for entrepreneurs and other Southern freelancers. Musicians are definitely one of the largest groups of freelancers here, but the city is also home to freelancing writers, attorneys, yoga instructors and photographers. One of the key reasons for Nashville’s popularity with freelancers is its low costs: Median rents here are just $675 per month, and health insurance costs are $132.69 — and there is no state income tax. One of the hubs of Nashville’s freelance culture is CoLab, a large co-working space that hosts more than 70 companies and dozens of freelancers, plus offers parking space and free coffee. Though it’s often cold in Minnesota, the freelancer scene in Minneapolis is hot. Minneapolis is home to freelancing attorneys, health administrators, education technology specialists and more traditional freelancers including artists and web developers. Minneapolis residents also have access to the lowest-cost health insurance of any city on our top 10 list at just $110.26 per month for a basic plan. The city also has its own unique large co-working space, Co-Co, located on the old trading floor of the Minneapolis Grain Exchange. And to keep freelancers safe from con artists offering freelance jobs that don’t pay, Minnesota’s attorney general offers guidance to help freelancers seeking work spot scam work-at-home job opportunities. This city boasts affordable rents and health insurance, plus a burgeoning startup culture and nearly 100 members of a meet-up group for local Lexington freelancers. Rent here is among the lowest on our top 10 list at just $614 per month, and Kentucky’s Small Business Development Center offers networking and management strategies to help new small businesses and self-employed professionals succeed. In this affordable city, 10.9% of people are self-employed, and it’s easy to see why. Rent here is the lowest at just $551 per month, and a basic health insurance plan costs $122.99 per month. Freelancers here work in entertainment, personal services such as hairstyling or esthetics and tech fields. Oklahoma City, like most of the other cities on our list, has a budding startup and technology industry, largely supported by freelancers and entrepreneurs who work at co-working spaces, like The 404 located in Oklahoma City’s revitalized Film Row. Keeping with the theme of innovative yet affordable Midwest freelancer hubs, Lincoln offers freelancers inexpensive median rent at just $595 per month and basic health plans starting at $188.40 per month. Linking up Lincoln’s freelancer and entrepreneur community is the University of Nebraska’s Nebraska Entrepreneurship center, a public-private partnership that hosts events and offers online resources for Lincoln’s self-employed community. The FUSE co-working center is also a hub for self-employed innovators, offering work space and collaboration opportunities between the self-employed and business organizations such as the local chamber of commerce and the University of Nebraska community. Self-employment and rent data was obtained from the U.S. Census 2012 American Community Survey. Rent data is the median price that one person would pay for rent in the city. Health insurance prices were determined using HealthSherpa.com, which aggregates insurance price information from the Department for Health and Human Services, individual state exchanges, and Healthcare.gov. We report the lowest priced plan in each city.